Washoe County Sheriff’s Office wants to Warn Residents about Phone Scams Impersonating Law Enforcement. In a growing scam reaching people across the country, phone fraudsters are using the threat of arrest warrants to pressure people into paying hundreds, sometimes thousands, of dollars. 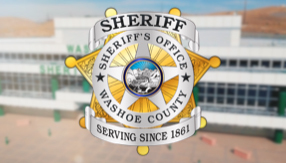 The Washoe County Sheriff’s Office wants area residents to be aware that the Sheriff's Office continues to recieve calls about a local phone scam in which the scammers impersonate Sheriff’s Office personnel to fraudulently obtain money from innocent victims. The scammer can also manipulate caller ID to make the number appear to come from the local law enforcement, the sheriff's office or 911. 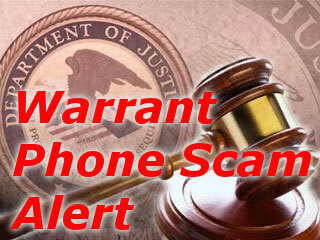 The caller tells the person there is a warrant out for their arrest for a certain amount of fine. The reason for the warrant is represented as being anything from a traffic violation, missed jury duty, failure to pay full income tax requirements to the Internal Revenue Service, or some other minor infraction. The scammer then tells the potential victim that their options are either to surrender themselves to the Sheriff’s Office for arrest, or that they may pay a “reduced” payment of the fine to adjudicate the warrant. The scammer provides instruction on how the payment should be submitted, usually through an “eGift” cash card or similar payment to a specified account or name given by the caller. These scam artists use pre-paid phones and many times are not even in the jurisdiction where the crime occurred, making their apprehension difficult. Although the Washoe County Sheriff’s Office will sometimes make calls to inform someone about a warrant, the Sheriff's Office will never ask for payment over the phone or offer to negotiate for reduced payment in lieu of arrest. Anyone with questions about a warrant may call the courts or local law enforcement.